Jon Richter is the Vice President of Product for CognitiveScale’s Cortex, the core artificial intelligence platform that provides foundational services to all Financial Industry, Healthcare, and Digital Commerce solutions. Jon has deep product management experience focusing on cognitive and AI cloud-based software for the past 7 years. 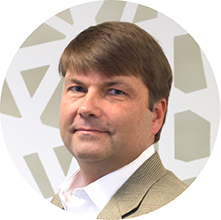 He was one of the initial product managers to commercialize IBM Watson technology and has over 19 years of experience in delivering high value solutions for clients. Jon holds engineering and MBA degrees from the University of Texas at Austin.